I was able to recently get permission from my wife to do a little something during my convalescence. It needed to be small (so that ruled out returning to the 33 inch Enterprise), and I needed to use only what I had on hand. 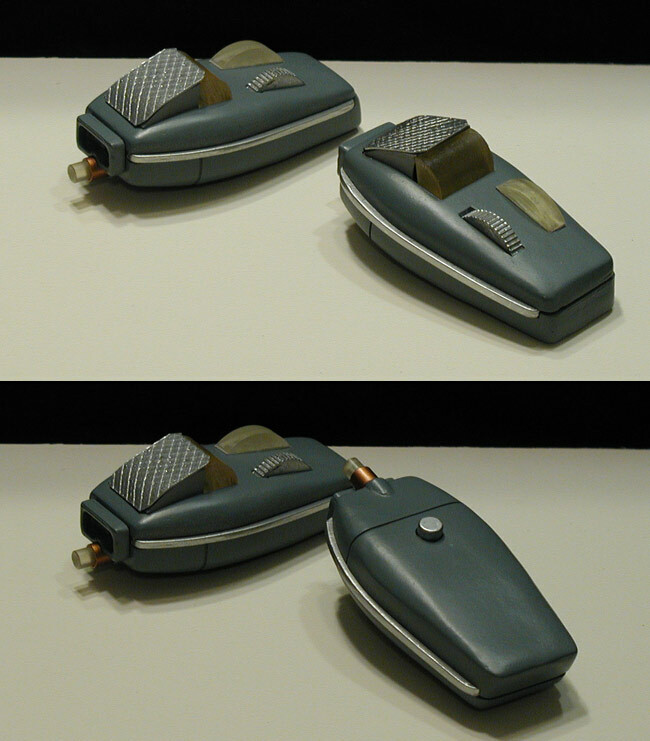 Back in 2007 I had started a phaser I based largely on the Franz Joseph design, but had stopped because I really wanted something closer to the actual TOS prop. 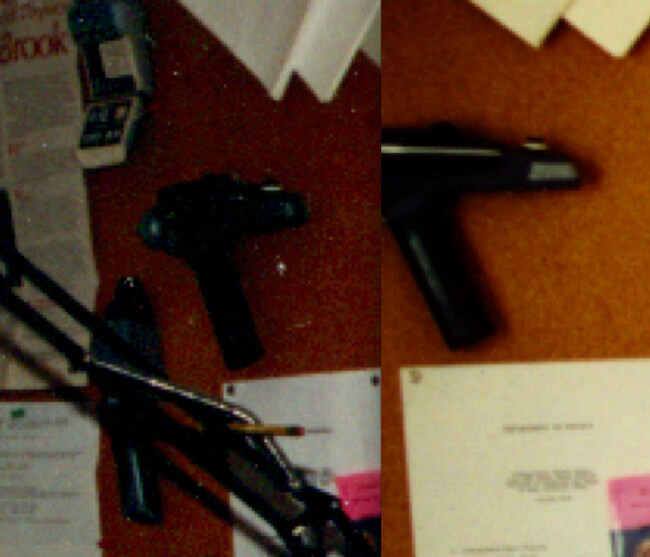 That earlier phaser had been made from paper, foam core board and Elmer's glue... all things I still have, so that seemed like a good place to start. Wanting something closer to the actual TOS prop, I started looking at reference images to get a feel for what I'd be sculpting. In addition to plans, measurements and photos of surviving props, I collected together a bunch of screen caps of the props while in use. With the info at hand I cut out foam core sections and started filling/shaping, until I started to get what I wanted. I then started working on creating a surface that match the finish I was going for. Once I was pretty happy I masked off some of the key features and hit it with a couple coats of primer to see how it looked. I spotted some defects, touched them up with glazing putty, and had another round of priming. At the same time I put together some of the detail pieces, and when everything looked good, I made molds of them. 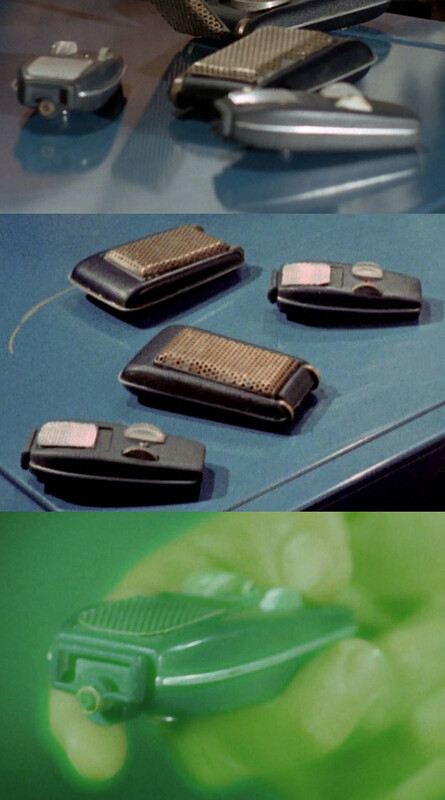 Just in case, I cast enough parts to make two phasers. I cut the needed openings and added the needed additional details. 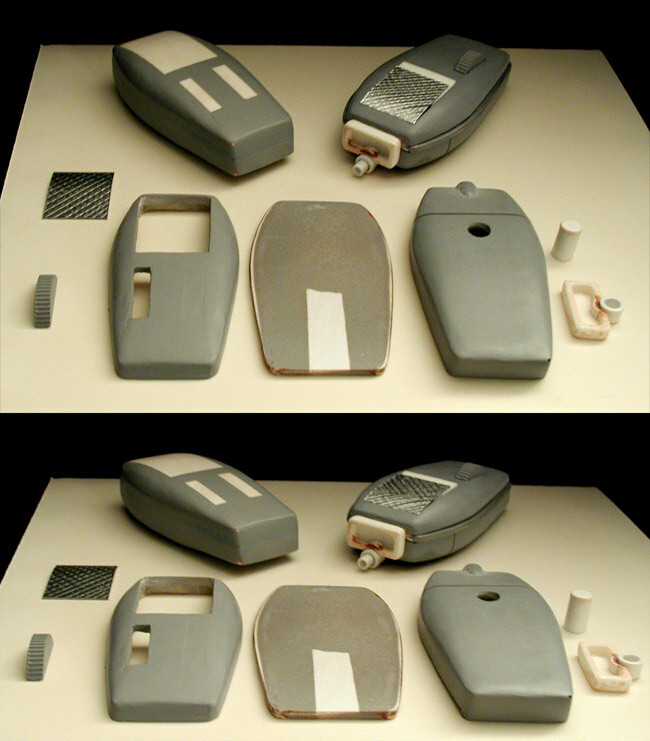 I also started in on the parts that would be directly made for each phaser (rather than cast). Everything worked out pretty good. I was forced to use the remainder of some clear resin I had which had yellowed, but like I stated earlier, I had to use what I had on hand. 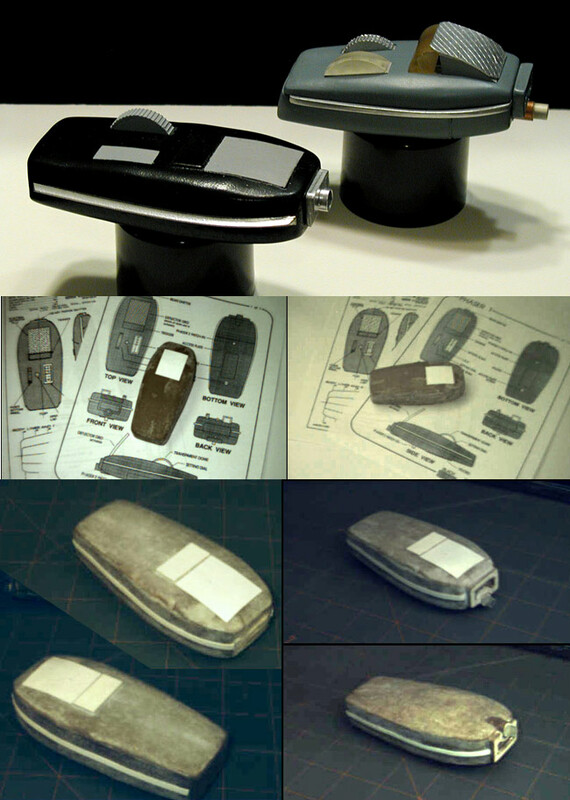 I still have the phaser start from 2007 (and it is still unfinished), I have since brought it back towards the Franz Joseph design's details (originally I had pushed it towards the prop's details). Here is a comparison of it with one of the new phasers (and some of the progress shots from back in 2007 when I first made it). 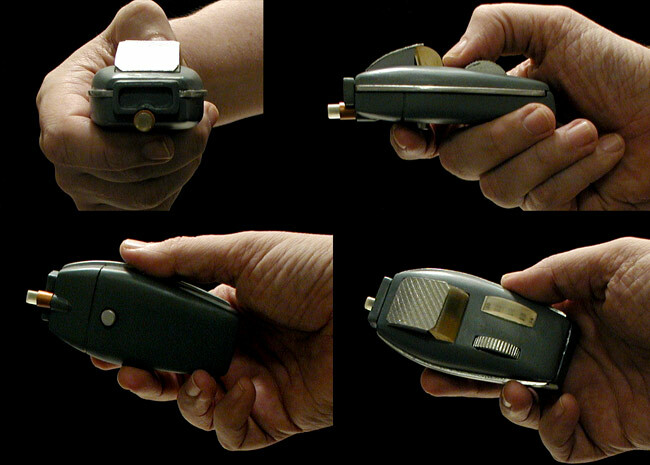 So there you have it, my simple, quick-n-dirty phaser I project. Looks better than the ones I use to make of balsa wood. ... which were based on Lora Johnson's plans. Those parts were originally going to be masters, but then Playmates released their TOS Phaser so I just finished painting theo parts and assembled them. I had over-built my 2007 phaser, so it can withstand a lot of handling, but the one I just made as a master isn't as tough. It got a couple small dents in it when I dropped it. 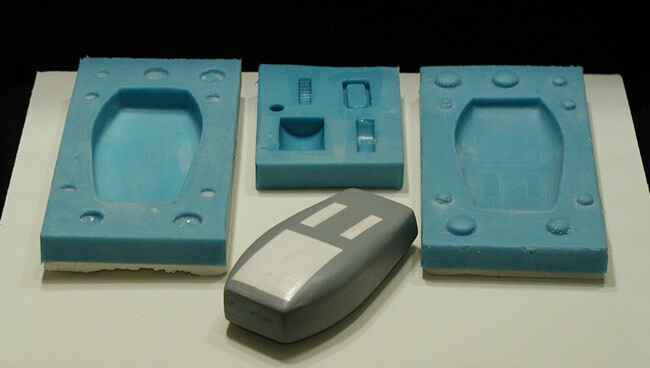 Fortunately that was after I had made the molds from it. This was a fun diversion, maybe I can talk my wife into letting me make the AMT Exploration Set in a few months. I think the ones made by Art Asylum are fine and dandy. The old hand built wood and found objects phasers where toys. I play it to death, made a new and better one, played that to death, rinse repeat. As a result they don;'t exist any more. I was troubled that I did not remember what happened to the last one I made. Then I found the three parts I reused, the Plexiglas emitter, the lens from the power readout and the metal screen on the Phaser one. The hardest parts to make. I took the last one apart. To start with it was the reference photos in "The Making of Star Trek" then the FJ Tech manual. Now I have the toys I wanted at age ten.